For a better understanding of the mode of governance of revolutionary committees, pre- and post-Cultural Revolution local governance are introduced, together with the people’s congress system and its evolution. 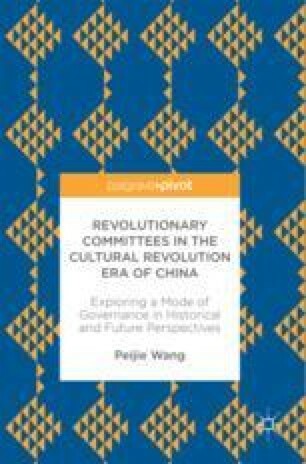 Then the chapter presents local governance during the Cultural Revolution period featured in revolutionary committees and contrasts it with pre- and post-Cultural Revolution local governance. It elaborates on the construct of the revolutionary committee typified by unified leadership, three-pronged resolution and revolutionary committee supremacy. The chapter exemplifies and discusses the three major constituents of the revolutionary committee: production command, political work and people protection. The chapter also introduces the foreground of and achievements in the revolutionary committee era—opening up to the outside world and economic and institutional reforms, and presents realities and reflects on fantasies.